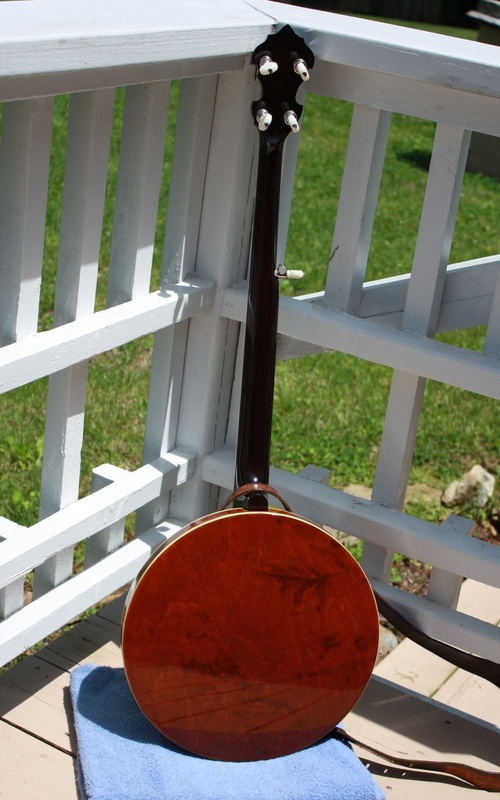 “I found this open back Gibson TB-0 on ebay for a reasonable price and purchased. My plan was to use the rim and hang on to the hardware for other purposes. As it turned out, the metal, while very corroded, cleaned up pretty well and I was able to clean it up sufficiently to maintain the bracket-shoe construction (along with a hex flange) which I like. The interior of the rim was ‘beveled’ meaning that it decreased in width toward the top. This presented a bit of a problem with adding a full weight tone ring and I went with a pyramid replica ring by Arnold Clayton. In addition, I used a 30s Kalamazoo resonator for the original configuration. 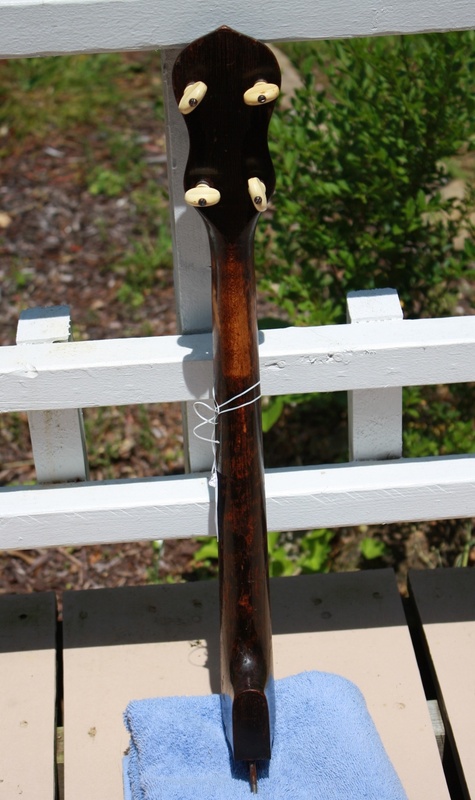 Arthur Hatfield produced a mahogany neck with rosewood fingerboard containing the ‘bats and gulls’ inlay pattern with a double cut peg head. While this configuration was very good, I simply could not ‘warm up’ to the instrument as it was. 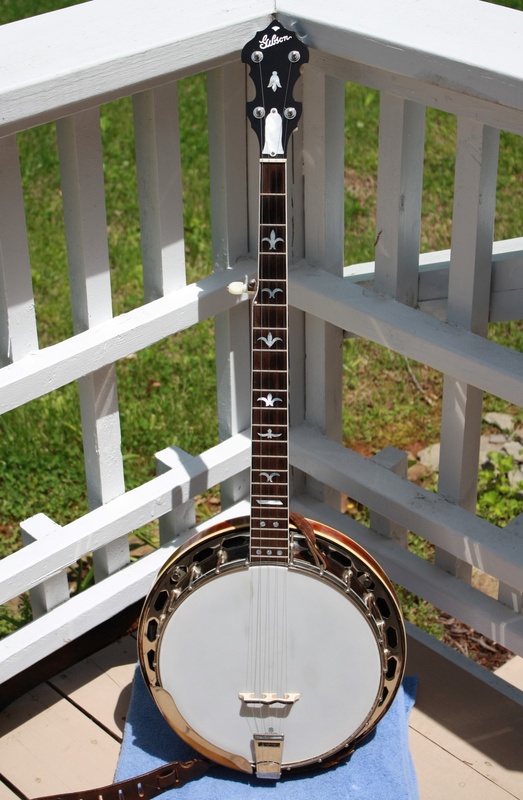 I took it back to Arthur and he installed one of his thin profile tone rings – originally designed for thin rims such as the Kalamazoo or Style 00 banjos – and this brought the banjo around to my personal preferences. 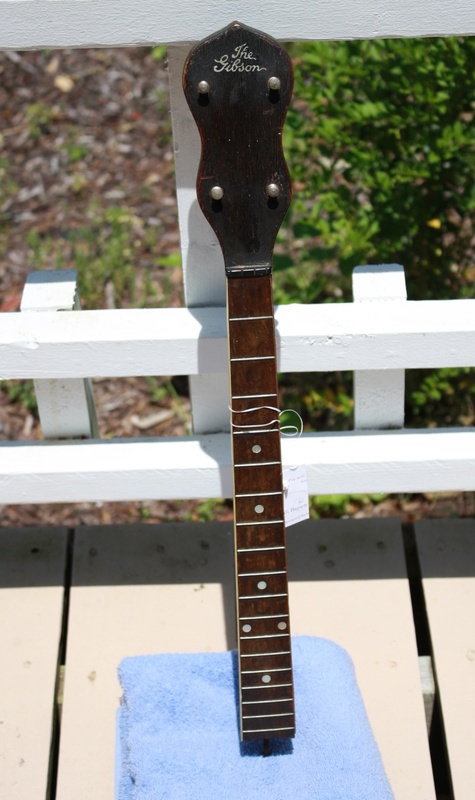 I had also been able to purchase an older resonator that was added. That resonator has a number etched into the interior wood indicating a 1930s date of production, however, I am not sure if this is accurate.